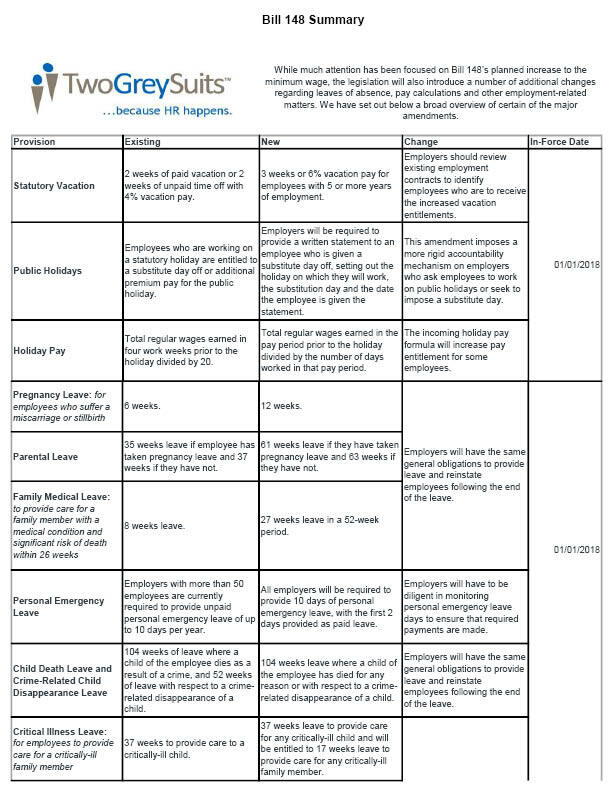 As you know, there are a few changes to Ontario Employment Standards Act that took place on January 1st, included but not limited to the minimum wage increase. 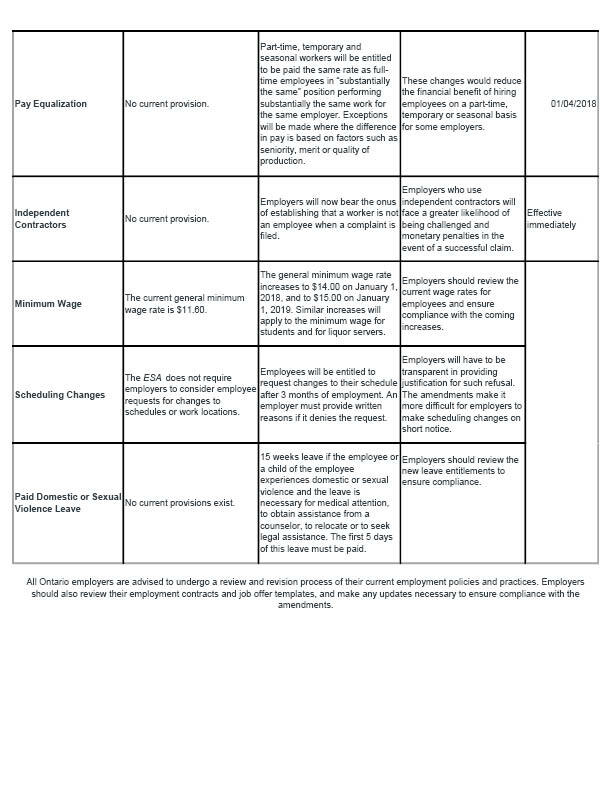 Below is a summary of Bill 148 changes to the Ontario Employment Standards Act (ESA) prepared by TwoGreySuits. TwoGreySuits will be doing a free webinar on January 24 @ 10 am (details to be announced) speaking to implementation details of some of the changes to the ESA. This will include dealing with the ‘ripple effects’ of employer compensation plans as a result of the new minimum wage and subsequent employee expectations, especially those with pay levels just above the new $14/hour minimum wage. If you have further questions regarding these changes, please call the TwoGreySuits HR Hotline at 1-888-661-9234. OCNA members may use this HR Hot Line free of charge. TwoGreySuits is a leading-edge provider of on-line human resource management information, processes, tools and forms servicing the North American market. They have linked the HR practices associated with the key drivers of Employee Engagement in the form of an online training application for managers utilizing the vast amount of well-organized information on the website. The HR Power Centre and HR Hot Line is simple and free for OCNA members. Visit https://ocna.twogreysuits.com/sign-up/ to sign up today.